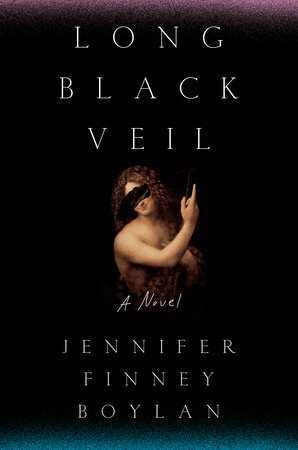 I received an ARC of Long Black Veil through the LibraryThing's Early Reviewers program. This post uses Amazon affiliate links, if you click on the link and make a purchase I may receive a small percentage of the sale at no extra cost to you. Long Black Veil was classified to me as a mystery/thriller. With such a dark and mysterious title and cover, I was certainly intrigued. I found the book to be less of a thriller and more of an exploration of identity. While it certainly has thriller elements, I find this classification a little bit misleading. It didn't detract from my appreciation of the book, but I do think if you're looking for a "can't put it down twisty read" you're not going to find it here. It begins with a night that will drive much of the plot for the book...a group of young people accidentally find themselves locked in broken down prison and something awful happens that they will never forget. As they grow older, the events of that night drive their decisions and impact their future choices. Just who was responsible? And why? So that's the mystery element of the book, but it's also largely about the secrets we keep and how those secrets impact our lives and relationships. How does a longheld secret affect our ability to trust others? What happens when it finally comes to light? The writing is lovely and the book really kept me with it. I enjoyed it! You can read a really nice in-depth interview with the author at The Advocate and purchase a copy of the book at Amazon.